In an unprecedent business move, Scientific Games, the world leader in online game production has acquired NYX Gaming Group. This massive purchase has seen Scientific Games acquiring nearly all the outstanding share of this game developer company at not less than $775 million Canadian dollar. It is expected that his deal for the acquisition will be finalised in the first quarter of the year 2018. This merger will transform Scientific Games as a game provider giant that will be able to compete with the top brands currently in the online casino development field, such as NetEnt and Microgaming. In the last decade, the merger of NYX Gaming Group is one of the many acquisitions of Scientific Games, and this latest deal puts the game provider in an ideal market position. 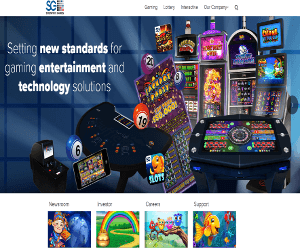 Today, Scientific Games can offer a full portfolio of cutting-edge gaming software, lottery products, and digital technologies to their clients. Lately, the CEO of NYX Gaming Group, Matt Davey mentioned that the acquisition of NYX by Scientific Games will boost the cash value for their shareholders instantly, plus it will expand the various solutions and products they can jointly offer to their customers. It will certainly speed up the execution of their long term strategic plan. Matt Davey will most probably transit through a new role within the parent company in the near future. It is rumoured that he will take on the role of Head of Sports Division and Digital Gaming at Scientific Games. Meanwhile, the CEO and President, Kevin Sheehan is expected to remain in his post. Let’s wait and see what Scientific Games has in store for online gaming enthusiasts after this epic merger!